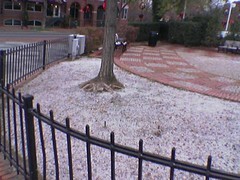 Snowing a bit this morning; DC got a light dusting. See the white stuff? That’s snow. Yeah, I know, wow, omg snow.